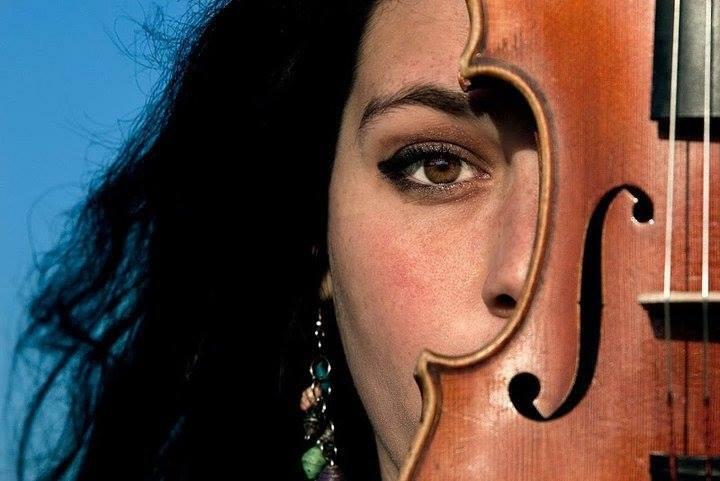 Alasha Al-Qudwah is one of West Virginia's eclectic instrumentalists. And today's interview is with a Charleston violinista who teaches children by day and puts a different spin on classical music by night. This... is Alasha Al-Qudwah. 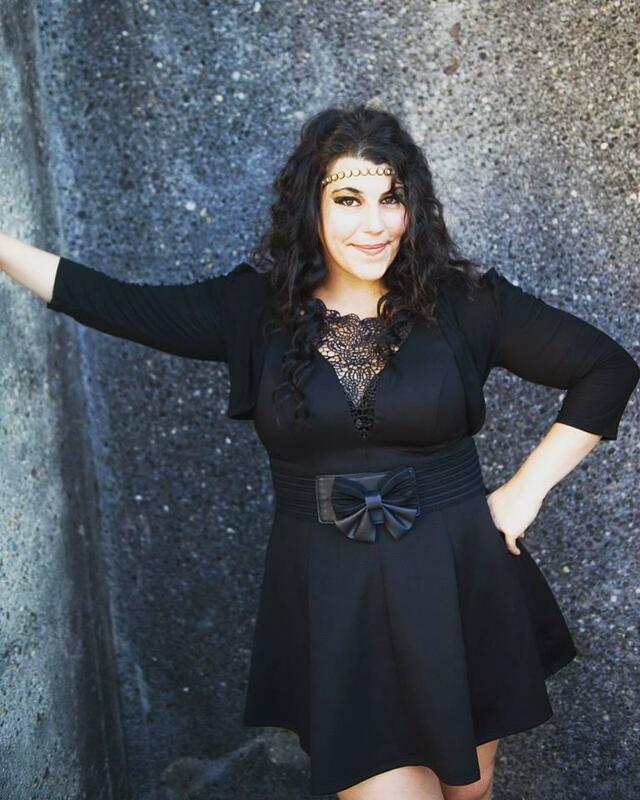 An interview with Alasha Al-Qudwah about #WVmusic. Alasha Al-Qudwah’s newest release with Beth Summers is In With the New. Hear more #WVmusic on A Change of Tune, airing Saturday nights at 10 on West Virginia Public Broadcasting. Connect with A Change of Tune on Facebook, Twitter and Instagram. And for more #WVmusic chats, make sure to go to wvpublic.org/wvmusic and subscribe to our RSS / podcast feeds. 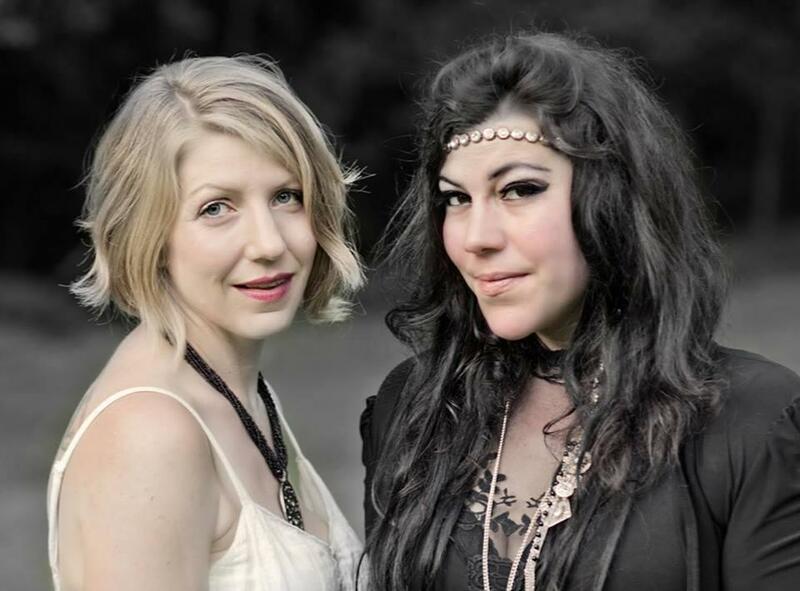 Beth Summers & Alasha Al-Qudwah's latest release is In With the New. I used to hear stories about me taking my step-dad’s acoustic guitar and just kind of going in a room by myself for hours, just making up songs, strumming chords. When I was nine-years-old at Montrose Elementary, the West Virginia Symphony Orchestra sent the Montclaire Quartet to my elementary school, and it was the first time I saw classical music live. I was mesmerized by the musicians and the experience. I actually was attracted to the cello, but it was just too heavy for me [laughing], but it turned out great for me because I was much more fluid and natural at violin. I snuck behind my grandma’s back and signed myself up for strings class, which was news to her. It started there. Sandra Groce became my first private lessons teacher, and she really helped me fall in love with music even more by playing in an ensemble and joining the youth symphony and having all these opportunities. It was in high school when I realized there’s nothing else I want to do with my life; I just want to dedicate it to playing music, being a part of music, teaching music… all that fun stuff. I think it was when I was in college, when I started getting hired for gigs and started getting money to go play with local orchestras or playing weddings. That’s when I realized, “Woah, I’m getting money [laughing]! So this is a real thing.” As a professional musician, there’s always so many more levels to capture, so you never know if you’re quite there yet, but that’s the beautiful part of the journey. I lived in Athens, Ohio, for five years. I went to college at Ohio University, and it was there I started finding I had a different voice with the violin. I started jamming with these awesome guitarists and started to improvise and play open mics. That was my first experience leaving the sheet music, so to speak. I think it really started there because it gave me the confidence to tell a band like Qiet, “Yes, I would love to play and perform with you, and I can learn these by ear.” It was inspiring. I think for a long time, I thought classical orchestra would be my main focus. When you go to study music in college, that’s what it’s all about. I think what opened by eyes the most was attending the Mark O’Connor Camp in Nashville, and they had violinists there from every different genre to teach a week-long camp. Seeing this master of Klezmer music as well as a master of classical, jazz, swing, old-time, Appalachian… that’s when I realized I wanted to explore more styles. A quiet moment for Charleston band Qiet before their NPR Mountain Stage debut in 2016. 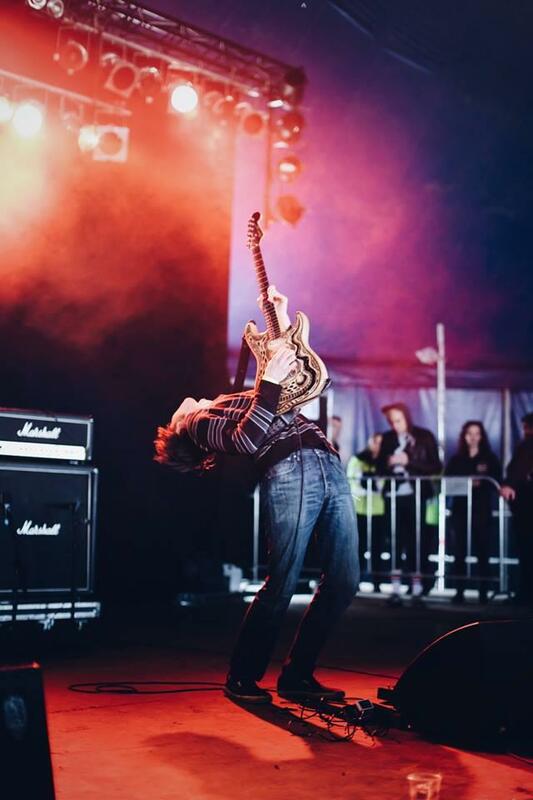 I have a six-year-old daughter who was born in March of 2011, and I get a phone call that June, and it’s from this very strange voice – Christopher [Vincent, the frontman for Qiet]. I never answer my phone, so it’s really interesting I answer this call. I’m sitting in a rocking chair, breastfeeding, and he asks, “Is this Alasha? The violin player?” At that time, I just moved back [to Charleston], so I wasn’t used to being known as the violin player. And he said, “I’ve gotten a suggestion that you might be a good fit for our band Qiet.” And I started freaking out because I had just seen them a couple of months before and thought, “I need to be in a band like that with the gypsy music.” I love playing that style on violin. Ever since then, it’s been a five-year-journey of lots of fun. When I saw Qiet perform, I just knew I had a place on that stage. First off, they all wore all-black, which is my [wardrobe] personality already [laughing]. And just the elements of their music. “Hollow Man” was the song that sold me on them. And it’s still one of my favorite songs to play with Qiet. 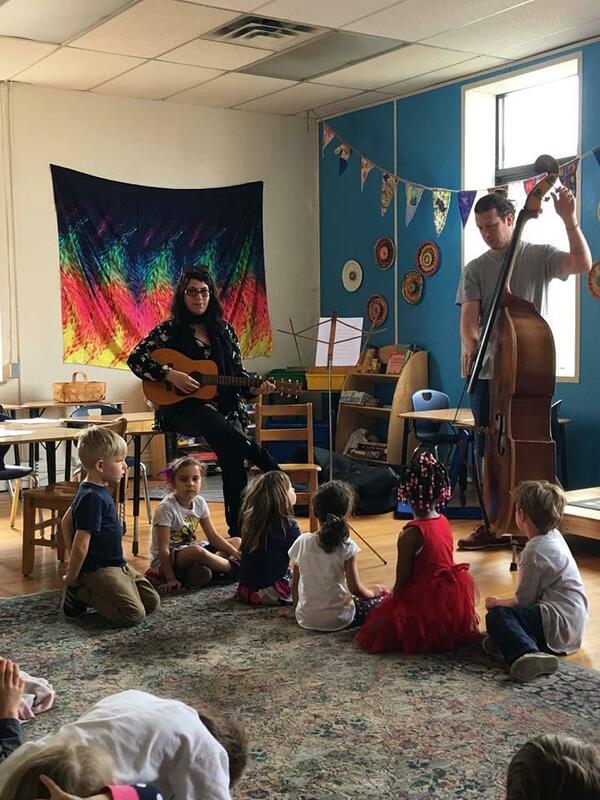 Alasha Al-Qudwah (or "Miss Alasha," as her class calls her) teaching music to Charleston Montessori School in Charleston, West Virginia. I was sixteen, and I had been going to a summer camp for many years, a string camp, it was my first year of being a counselor, having my own chamber group, being responsible for guiding them through their music activities. That’s what really let me know that music education was going to be a part of my life. I just want to give back, so to speak, especially to the Charleston community. The children need it here, it keeps out arts alive, and keeps breeding new talent that you’ll someday interview! In music class, we love to learn about music history. The children love to learn about composers, and I love to talk about it. I love incorporating it with other history, so we’ll spend our music classes doing that and learning all kinds of rhythms and melodies. I like to step out of the traditional box of learning choir pieces, so I like to teach them folk songs like “Shady Grove” and Beatles songs. They wrote an original song with me called “Love, Light and Peace.” They came up with the melody, the chords, the structure, and it’s really beautiful. They’re so cute singing these beautiful folks songs. I want them to be exposed at even a younger age than I was to all the music out there. I hope to give them the inspiration of being themselves, to never be afraid to dream the impossible. I dreamed the impossible wanting to be a musicians, and there’s always a way. I want them to be able to go out in society and help better the people around them. I want them to understand we’re all equal in this world and depend on each other to help each other. It’s not just teaching them a skill; it’s teaching them to be a better person. 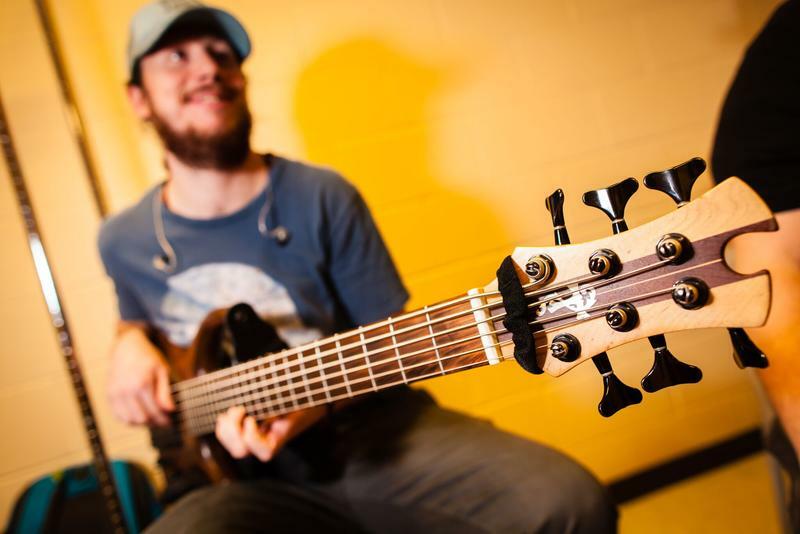 Ask anyone in Charleston about the #WVmusic scene, and you'll get responses ranging from venue reviews to summer fest suggestions to, of course, band recommendations. 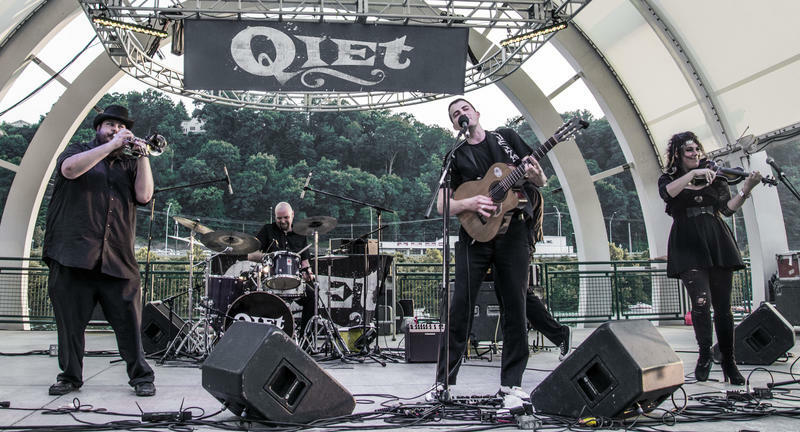 No matter what kind of response you get, we're sure it somehow leads back to Qiet, the Appalachian gypsy rock band that has been a fixture of the #WVmusic scene for quite some time.